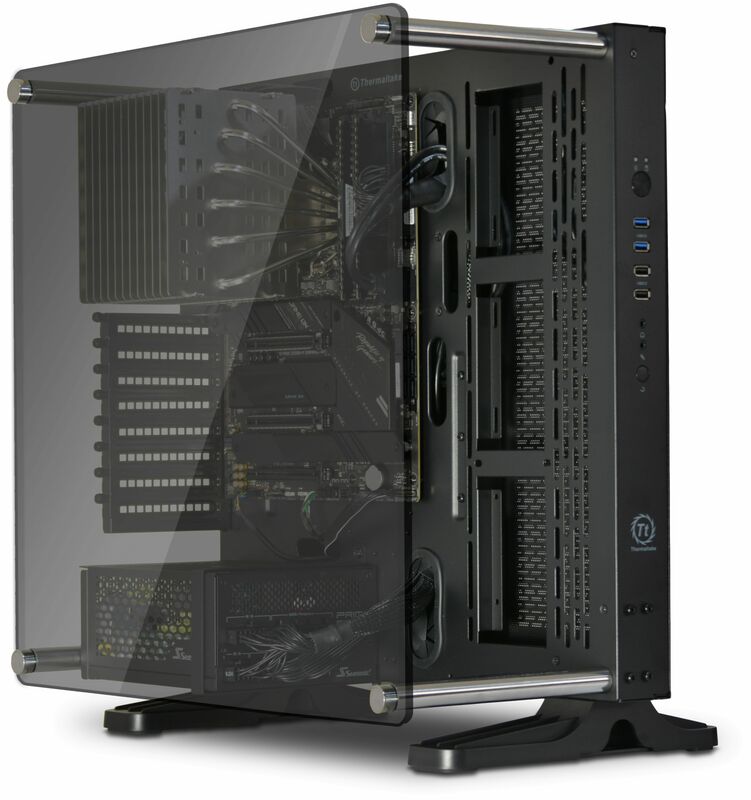 Built around the Thermaltake Core P3 chassis the Silent Phantom is a totally fanless PC that provides the best possible cooling, allowing the air to naturally dissipate without any obstructions due to the chassis open frame design. 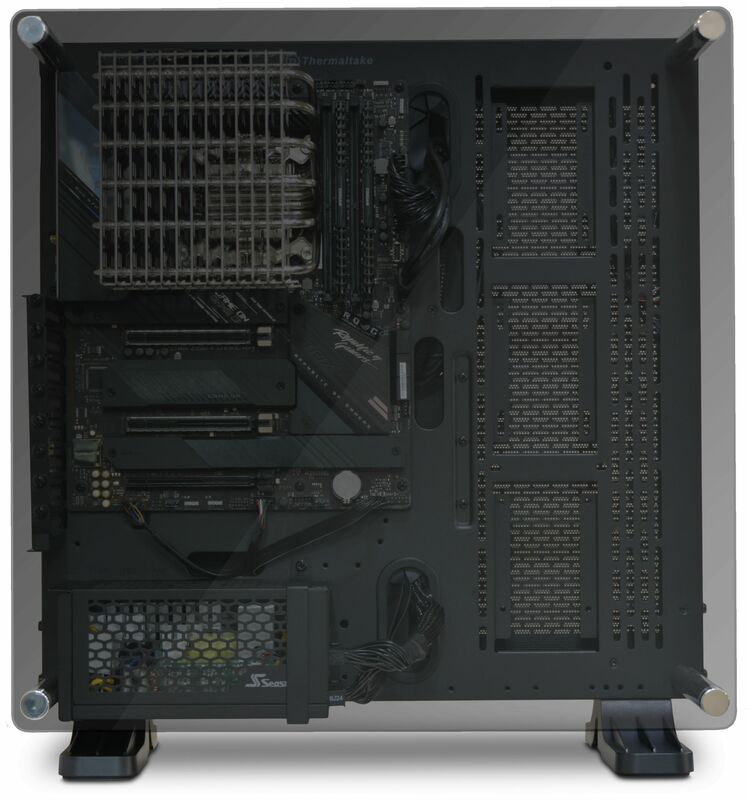 We are proud to offer the Silent Phantom Desktop PC which is a fully-built silent computer system, ready to go that utilises Intel's 8th Generation CPUs and a Z390 motherboard. The CPU are silently cooled by Nofan's unique IcePipe processor cooler for no noise, no dust, no moving parts and no maintenance. The machine can be configured to your exact specification and offers, as you would expect, totally silent operation. 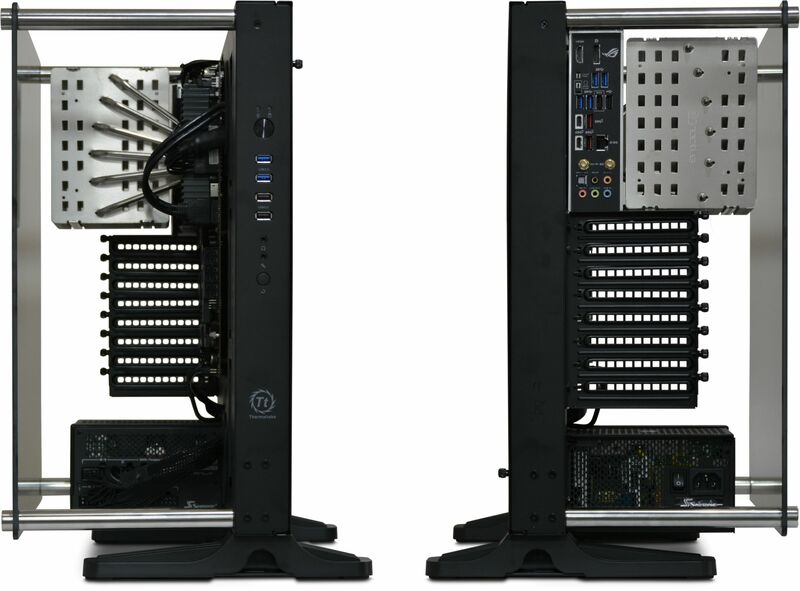 Thermaltake's Core P3 chassis is a open frame design, which is ideal for a totally fanless build as the warm air rises away from the installed components naturally, without a roof potentially restricting this process, resulting in reduced component temperatures (compared to a standard closed chassis). 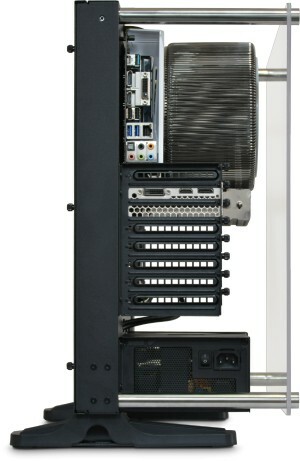 Another benefit is easy access to the installed components, making any additions made to the PC extremely simple to do. One maybe fooled into thinking that because the Phantom uses an open frame design that dust build up would be a problem. The fact that the PC is totally fanless means the system does not attract dust like a fanned PC. Of course dust will settle on the components but fans are renown for attracting dust hence why they are mainly equipped with dust filters. And of course being an open frame design means cleaning the system would be a very easy task to do. The only real disadvantage of an open frame design is the fact it does not have any sides, meaning there would be no protection against any liquid spillages. Andy puts the Phantom through its paces! 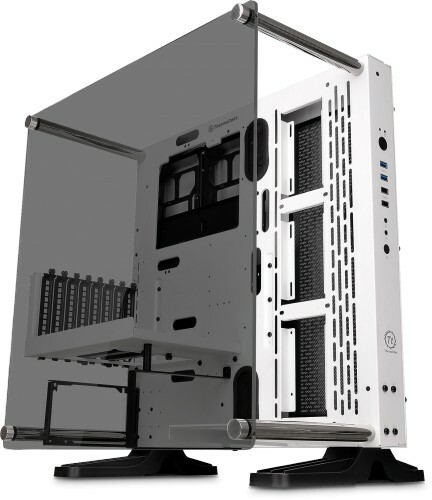 Thermaltake Core P3 Snow Edition Tempered Glass Open Frame Chassis ? Seagate BarraCuda 1TB 3.5in Hard Disk Drive HDD ? WD WD10EZRZ Caviar Blue 1TB 3.5in Hard Disk Drive ? Seagate BarraCuda 2TB 3.5in Hard Disk Drive HDD ? WD WD20EZRZ Blue 2TB 3.5in Hard Disk Drive ? Seagate FireCuda 1TB 3.5in Solid State Hybrid Drive SSHD ? Seagate BarraCuda 4TB 3.5in Hard Disk Drive HDD ? WD WD30EZRZ Blue 3TB 3.5in Hard Disk Drive ? Seagate FireCuda 2TB 3.5in Solid State Hybrid Drive SSHD ? WD WD40EZRZ Blue 4TB 3.5in Hard Disk Drive ? WD WD60EZRZ Blue 6TB 3.5in Hard Disk Drive ? Seagate BarraCuda 8TB 3.5in Hard Disk Drive HDD ? Seagate BarraCuda Pro 6TB 3.5in Hard Disk Drive HDD ? Seagate BarraCuda Pro 10TB 3.5in Hard Disk Drive HDD ? Extremely happy with PC - silence is bliss. I choose the Nofan CR-95C heatsink coupled to a 65W CPU, and with office applications, the heatsink is barely warm. Loaded up the 'in-game' at the moment (Fortnite) and with the fanless GTX 1050 Ti card, had most settings maxed out and its playing smooth. In terms of QuietPC support, they were responsive - I had a query about Windows Activation via email on the weekend, and they responded first thing on Monday.